Home » Solartwin Features » Solar PRICES UK – Solar Panel Offers » SOLAR PRICE LISTS | Instant Solar Quotes UK | Solar Electricity (PV) & Solar Hot Water (Thermal) Panels. PV FIT at 21 p. Solar PV! Solar quotes! Solar prices! Solar bargains! Nationwide UK. Solar electric & Solar water heating prices. Solar review time. PV payback calculations. 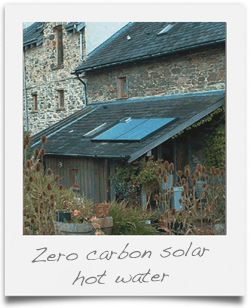 Solar quote site: price and solar review summary of Solartwin’s solar products, including UK VAT. Solartwin supply TWO kinds of solar panels. Two different solar energy technologies, solar electricity (PV or photovoltaics) and solar heat (PV pumped solar thermal)! Starting now with Solartwin Solar PV installations…. + Possible year 1 Electric Bill Solar Saving + a small export tariff. Earn money from your solar PV installation! Government guaranteed inflation-proof tax-free income for 25 years! You will benefit financially from a return on investment which is in excess of what most UK banks can offer you! * Approximate S facing 40 degree pitch solar PV performance figures based on DECC figures from PV solar performance estimator SAP 2009 solar PV appendix. Calculation is from the EST website using CH1 postcode. They depend on solar PV position on your roof, location in UK, other factors. Figures assume no shading. Year-on year weather-related variations in PV performance can be in the region of 10%. PV system performance may be higher by 10% or more in sunny southern areas such as Cornwall, and lower by 10% or more in Scotland. You have one suitable sunny roof elevation and the roof does not need any structural changes for your solar PV installation. You live in a building where scaffolding is easy and there are no major obstructions such as bay windows for your solar PV installation. You live on the UK mainland with mains electricity already supplied and that you have a “grid-connected” solar PV installation. Compare our calculations with the Energy Saving Trust PV performance predictor and you may actually find that our predictions are less optimistic than theirs. We can quote by phone for installing solar panels in most homes. Just tell us your solar PV budget, or your unshaded roof areas and together we can quickly do the rest in terms of price and performance. Even if your home does not quite satisfy all these standard price conditions, or if you do not live in the UK, please call us anyway. We will usually be able to quote and tell you about solar panels: how they work. We are also able to install photovoltaics in Northern Ireland and in most UK Islands. We can supply any size of domestic PV installation between 1-4 kW peak. Also larger trade jobs. Please call now for your own personalised solar energy system quote. Prices can vary with international currency exchange rates, because some solar PV components are imported. If you already have a solar PV quote, ask us to match it. Send in a copy and we can usually respond, in writing, the same day, with a solar bargain quote! UK made Sharp PV’s, UK made TG Solar PV’s, Caymax PV’s, Sanyo PV’s, Kyocera PV’s, are among the many types of PVs we have fited. Our PV inverters include SMA, Fronius, and Eversolar. Right now we are offering generic installations because of supply constraints because of the FIT cuts but be assured that all products ARE MCS. Solartwin are UK nationwide MCS certified installers of Solar Photovoltaic Installations. So please call us for your solar electric panels quotation NOW on 0344 567 9032. Solar water heating systems – which are PV pumped. Solar heating installations or DIY kits with solar thermal panels. These are normal prices including 5 years performance warranty for a single panel installation. They include the 10% discount we give you for eco-surveying by phone instead of on site. To some combi boilers using thermal stores. To most high pressure cylinders. Solartwin are MCS / Solar Keymark (ie Grant Eligible) solar water heating installers / suppliers. Being owned by the UK Government, MCS will be the basis of the Renewable Heat Incentive (RHI) Renewable Heating Premium Payment (RHPP) solar subsidy payment schemes. The ever-popular full DIY solar water heating kit only £2899. Freeze tolerant solar panel, pump, pipes controller, etc. This is another very popular solar product because our solar panel system is so easy to install. Every two months we offer solar panel installation training to give you extra confidence! S.O.L.A.R. Details on DIY solar kits and parts here. Please ask for solar heating panel prices for your particular home. Prices for water softeners are also available.